The London Block Exchange plans to launch a new cryptocurrency pegged to the pound: LBXPeg. LBXPeg is a so-called “stablecoin” and they’re booming in popularity in crypto. LONDON — A UK startup has announced plans to launch a new cryptocurrency pegged to the British pound as interest in so-called “stablecoins” booms. 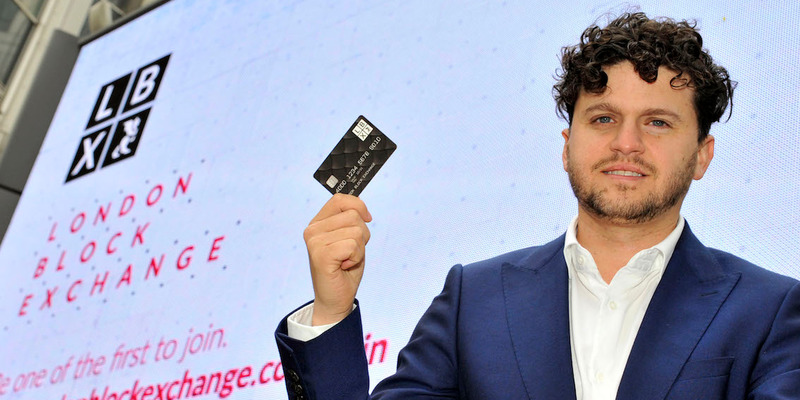 The London Block Exchange, which does over-the-counter crypto trades and is building a crypto exchange and card, said on Friday that it had received permission from an unnamed banking partner to launch a new cryptocurrency, dubbed the LBXPeg, backed by reserves of UK sterling. The one-for-one reserves will be held in an account at the third party bank. LBX’s CEO, Benjamin Dives, told Business Insider the reserves will also be regularly audited by a top accountancy firm. He added that he believes the LBXPeg will be the first so-called “stablecoin” to be pegged to the pound. “We would be ready for the first cryptopound to be minted in the next 10 days,” Dives told Business Insider. LBX’s latest plans come amid a boom in activity and interest in “stablecoins.” These are cryptocurrencies where the price is pegged to real-world assets, usually the dollar. The idea is to give cryptocurrencies the price stability of a mainstream currency but still retain their interoperability and digital nature. Circle, the cryptocurrency company backed by Goldman Sachs, this week became the first issuer of US Dollar Coin, a new stablecoin pegged to the dollar it helped to develop. The Winklevoss twins, who helped develop Facebook, have also announced their own stablecoin project. A report from Blockchain earlier this week said there are over 50 stablecoin projects currency in development. Stablecoins shot to popularity within crypto last year thanks to the rise of Tether, a cryptocurrency pegged to the dollar. Many crypto exchanges have been shut out of the mainstream financial system by banks due to compliance concerns. Tether allows them to offer dollar-like liquidity even though they cannot accept dollar deposits. Blockchain’s report found around 60% of bitcoin trades now occur in Tether globally.